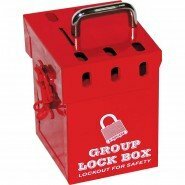 Group Lockout Boxes are used to implement and maintain the integrity of your Lockout Tagout Safety Program and Procedure. 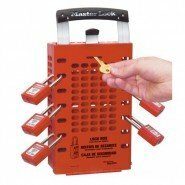 Keys for safety padlocks that have been used to lockout a device by an authorised employee as part of the Lockout Tagout Safety Program are placed in the Group Lockout Box. 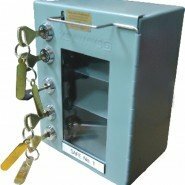 Authorised employees then put their personal safety padlock on the Group Lockout Box and the keys are not removed until their work is complete. 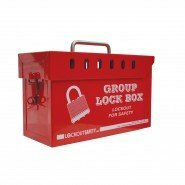 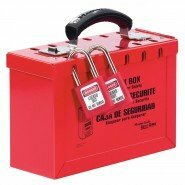 View our full range of Group Lockout Boxes, including prices, at www.lockoutsafety.com.